One of the most iconic and magical ways you can celebrate Christmas with your kids is to take them to see Christmas lights. 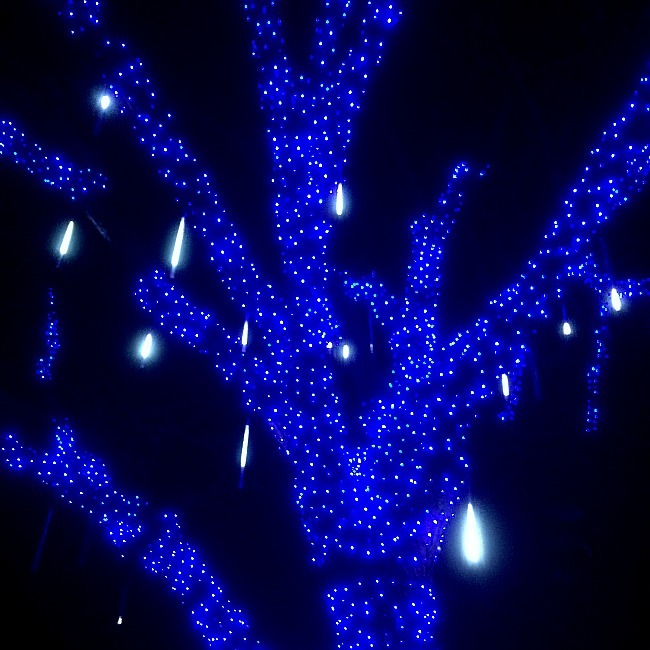 Thousand (or hundreds of thousands) of twinkling lights in creative and playful displays. 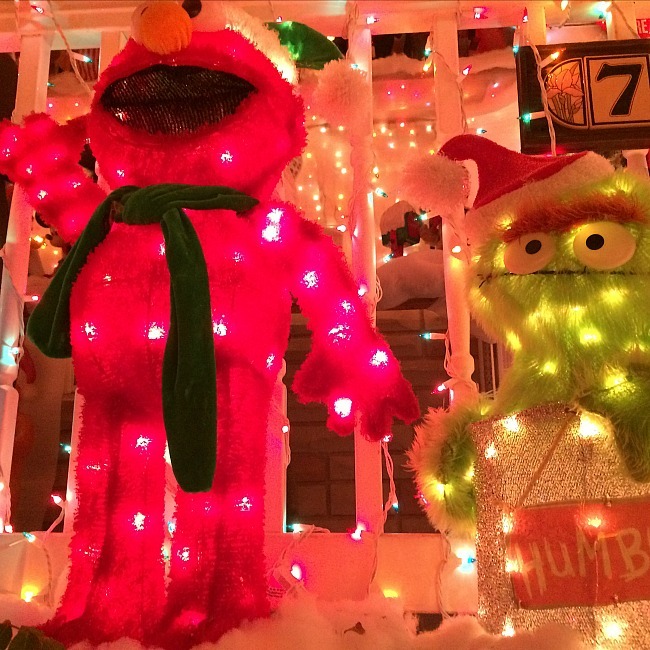 Some Christmas Lights are walking tours, some are drive through tours. In the DC area there are so many great places to visit.. too many to see all of them each year. 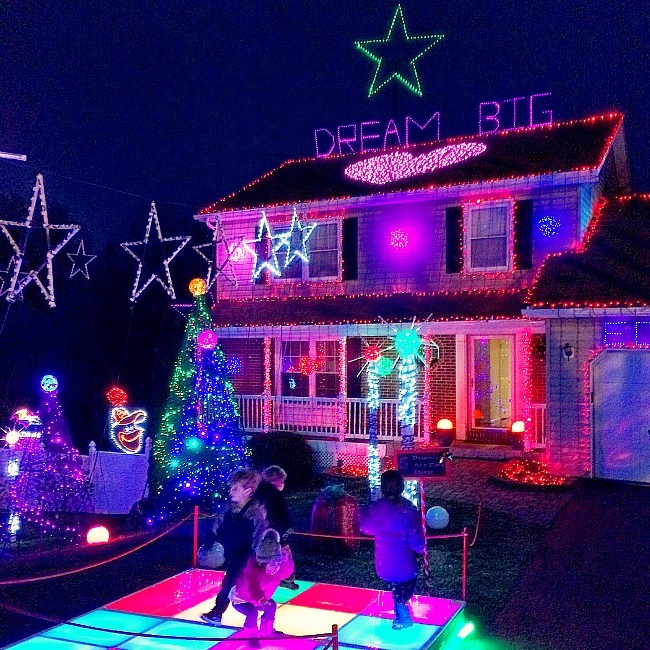 These 16 Christmas Lights displays are some of the best the DC area has to offer. The annual walk-through light show opens November 16, 2018. 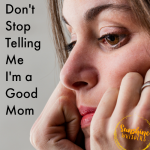 The exhibit is open every night through January 1, 2019, except November 19-22, and December 24 and 25. November 17th-January 1st. $15/car or $30/mini-bus. Driving through “Lights on the Bay” at Sandy Point State Park has become a tradition for many families for the past decade. The Lights on the Bay display is a scenic drive along the shore of the Chesapeake Bay with more than 60 spectacular animated and stationary displays illuminating the roadway. 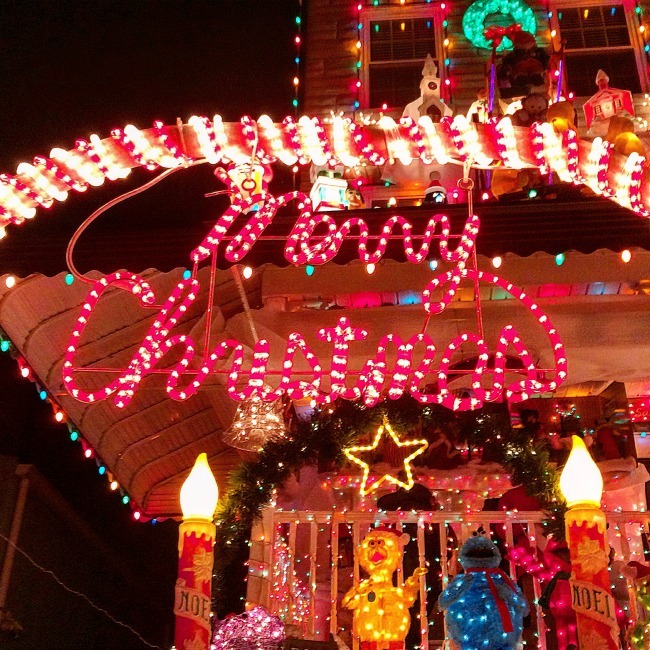 Yes, there really is a Miracle on 34th Street.. and it is that this block in Baltimore puts on a dazzling lights display every holiday season. For 2018 The dates will be Saturday November 24th through Tuesday January 1st 2019. they will be on from around 6 to 11 every night except Dec 24th and Dec 31st when they stay on all night. 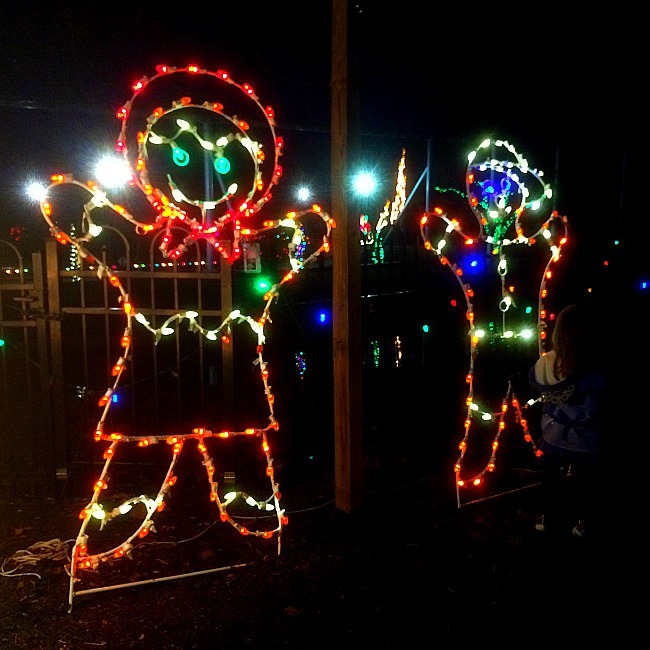 Bring a little twinkle to your holidays at the Annual Winter Festival of Lights. This spectacular holiday drive-through event features more than one million twinkling lights, wonderful themed displays, and one of the tallest tree displays in the state. Don’t forget to make a difference this season! Please bring canned goods/non-perishable items for donation to local food banks. Join us for Annmarie Garden In Lights, a magical holiday light show that takes visitors on a beautiful walk through the glittering woods. As you stroll the protected path, you will be surrounded by spectacular “light sculptures” depicting sea creatures, wintry wonderlands, enchanted gardens, wild animals, outer space, airplanes, pirates, princesses, superheroes, and much more. Don’t forget to ask for a “Holiday I Spy” program. 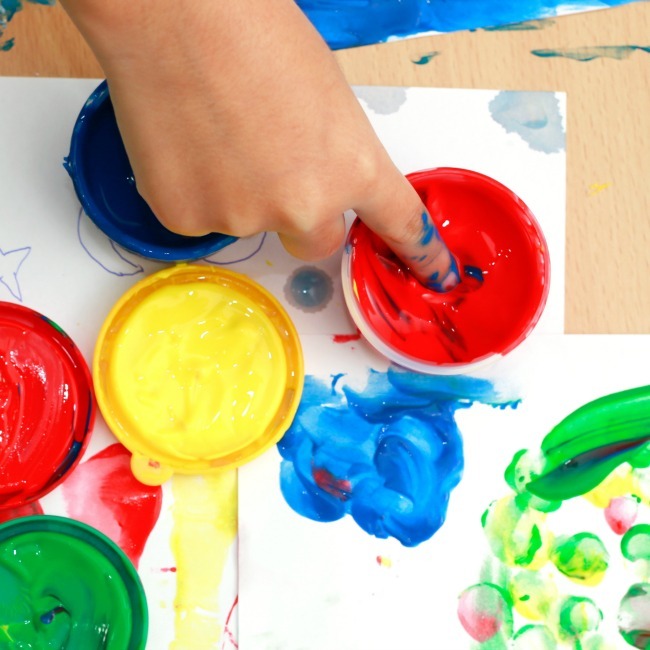 After your walk, warm up in the Arts Building where you will find nightly entertainment, beautiful exhibits, great shopping, and a holiday cafe! 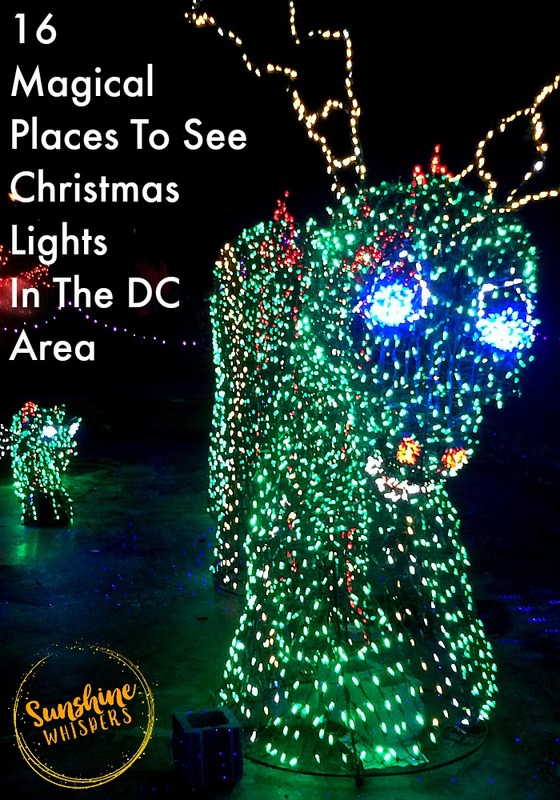 Related: DC Area Christmas Trains Your Kids Will Love! The Festival of Lights is one of the D.C. area’s great community traditions. Beginning November 29th, the Festival features free performances nightly in the comfortable, state-of-the-art theater located in the Visitors’ Center. A different performing artist or group is showcased each night, including bell ensembles, choirs, orchestras, and more! Each performance is presented twice nightly. The Visitors’ Center of the Washington D.C. Temple of The Church of Jesus Christ of Latter-day Saints is open daily from 10:00 a.m. to 10:00 p.m.
Everything about this festival is FREE. However, some events are ticketed (still free). This residence in Ellicott City, MD is amazing. Bryan Bartlett decks out his home and synchronizes the lights to an amazing soundtrack. You will oooh. You will ahhh.. you will want to dance. And you can because a lighted dance floor in part of the lights extravaganza! Check out the Facebook page below to get details of when these lights will kick off for 2017. November 23rd to January 1st (except 24, 25, 31 December): Join the thousands of visitors who make ZooLights a part of their annual holiday tradition. A free event, ZooLights includes live music performances, tasty winter treats and plenty of opportunities for holiday shopping. More than 500,000 environmentally-friendly LED lights transform the Zoo into a winter wonderland complete with a dazzling light show set to music! 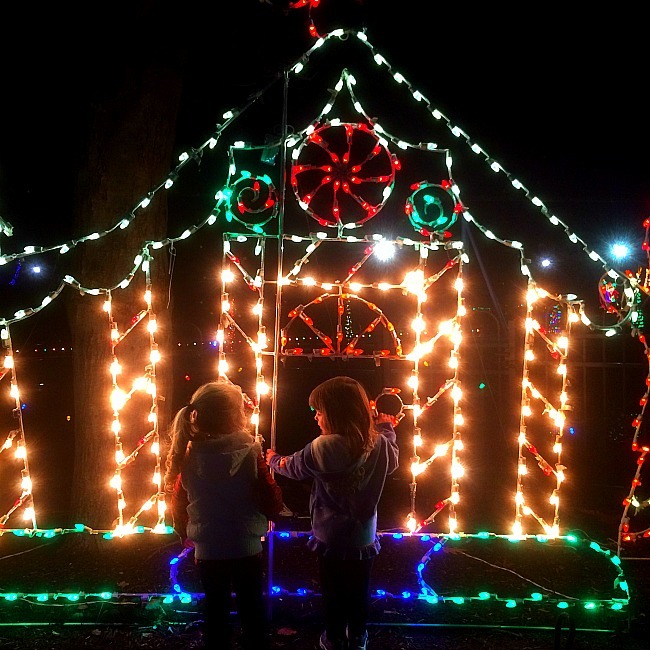 Bull Run Festival of Lights is open seven nights weekly, from November 21, 2018 to January 6, 2019. Admission Fee: between $20-$25/car depending on when you go. 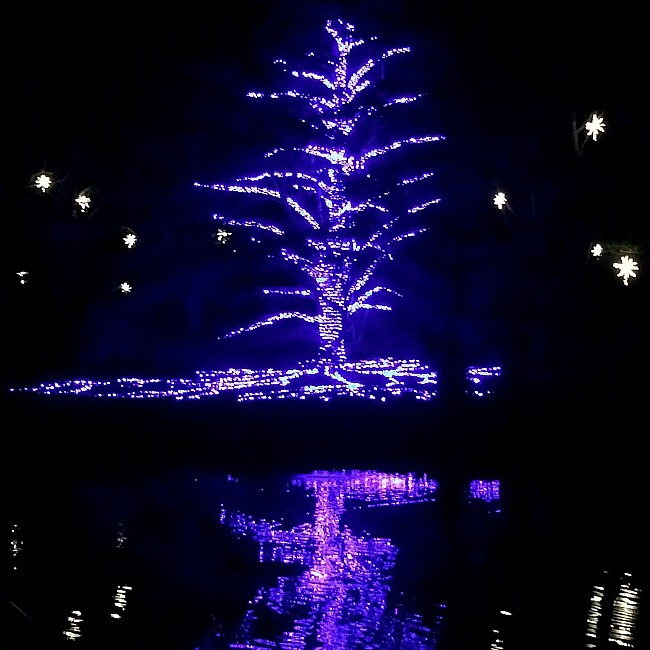 Bring your family and friends to be dazzled by the magical Winter Walk of Lights at Meadowlark Botanical Gardens in Vienna, Virginia. Every year from mid-November until just after New Year’s Day, the garden is transformed into a half-mile, walk of lights. Revisit perennial favorites such as the animated Lakeside Lights, the Fountain of Lights, and the Holiday Nature Walk – and look for new displays each year. Put on your walking shoes and bring the family to experience a Northern Virginia festive tradition. 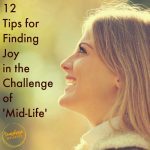 Round out your visit by roasting marshmallows and sipping on hot beverages by the fire. (Available for purchase at S’more Snacks Shop). The Winter Walk of Lights is held every evening beginning Friday, November 9, 2018, through Sunday, January 6, 2019, Thanksgiving, Christmas, and New Year’s too! 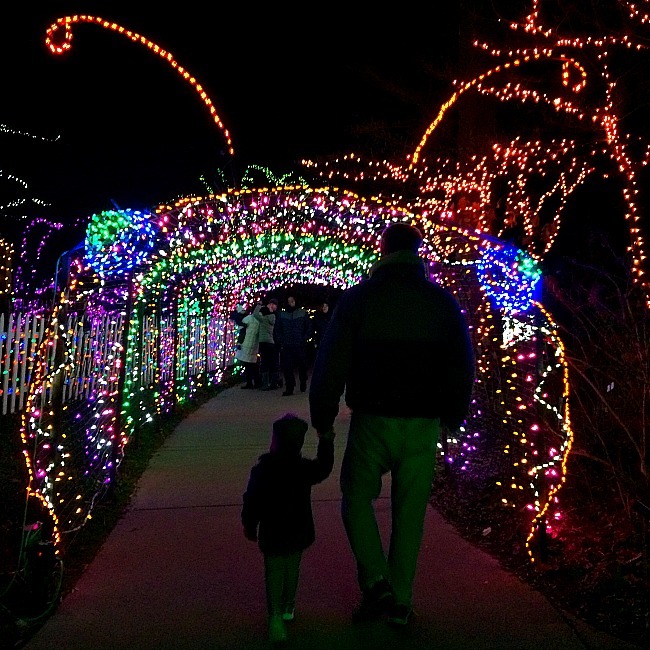 The Walk of Lights runs from 5:30 to 10 p.m. (last tickets sold at 9:30 p.m.). Admission: $8-$14 depending on when you go. 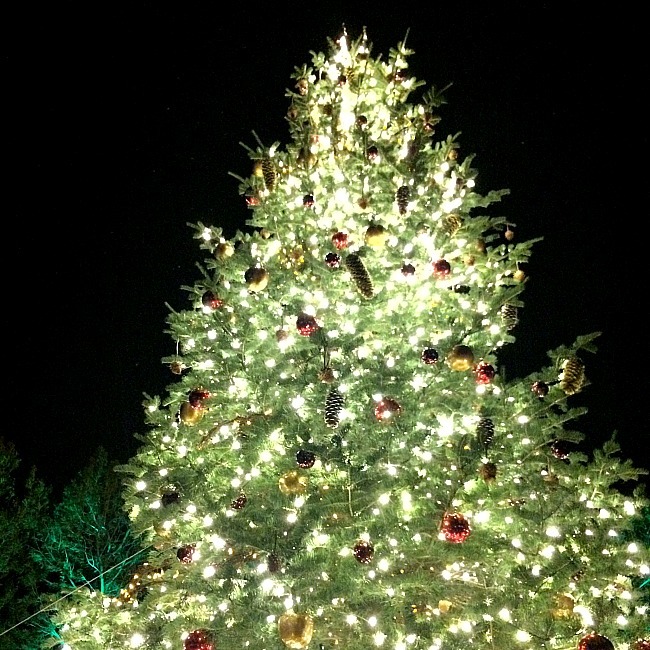 This holiday season we look at the Christmas tree in a new light. Join us as we celebrate the Tree Reimagined with festive firs suspended from above, towering tannenbaums created from books to birdhouses to stained glass, and more traditional favorites elevated with surprising new twists. Celebrating 71 years of Season’s Greetings, Koziar’s Christmas Village has grown to a mammoth and extraordinary seasonal attraction drawing visitors from great distances as well as local families who have made Koziar’s part of their Christmas tradition for three generations. Christmas Magic is a 0.5 mile long walking trail (accessible to anyone) that meanders through 600,000 Christmas lights, holiday scenes and five enclosed heated pavilions. The spirit of the Holiday is displayed by using animation, displays, Santa Claus, food from Brown’s Orchards at the Friends Food Stand & Brickers, G-gauge train display, and a second train display. The trail sits among a mature oak forest nestled on a quiet mountaintop. Admission to Christmas Magic on Fridays, Saturdays, and Sundays is by timed tickets only, which can be purchased HERE. Reservations will be required, no walk-ins will be permitted Fridays, Saturdays, and Sundays. Timed admission limits the number of people attending Christmas Magic, providing a better visiting experience and less waiting in traffic and lines. Walk-ins are not permitted Fridays, Saturdays, or Sundays. Tickets for Monday-Thursday are available online and at the admissions window. Tickets purchased at admission window must be with cash. ATM’s are onsite. Buying your ticket online will allow you to bypass the ticket purchase line and go directly to the timed ticket entry window. Previous Post: « 11 Maryland and DC Area Christmas Train Events Your Kids Will Love!